NumberCruncher is excited to announce our new partnership with SPS Commerce, Inc, a leading provider of EDI (electronic data interchange) solutions, to offer All Orders users a top-of-the-line EDI Integration solution. 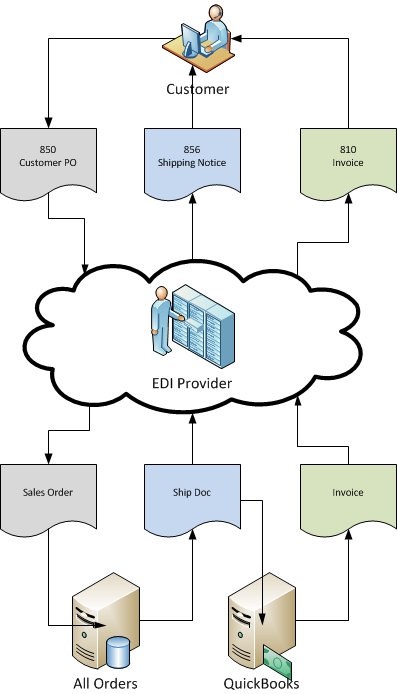 The EDI Connector is used to send and receive EDI documents to and from SPS Commerce. The following EDI Document Types are supported. The Connector is a separate program to All Orders and runs in unattended mode. Before installing the Connector you must set up your account with SPS Commerce. They will walk you through setting up your trading partners.